Livekingdomhall is a quality solution to stream live audio or video from the kingdom hall over the internet. Of course, nothing can compare to the benefits derived from being personally present at the meetings. This has been arranged for congregations that want to assist individuals in their congregation who at times are unable to be physically present for their meeting because of illness or some other unavoidable circumstance. There are two ways you can deliver online video/audio: live and on-demand. Both types of webcasting will deliver great quality. We focus on live streaming. Our technology streams your kingdom hall audio and video real time over the internet. This means that members of your congregation who are in need can view or listen while the meeting is happening. Audio recordings of your meetings can also be made available for on demand delivery. As you send us your encoded feed, we duplicate it and send it simultaneously to those in need in real time. There are no ads or distractions. You can use the default listening page provided or customize it with your kingdom hall photo image. We provide an easy way for the attendants to count how many attend. Each congregation has its own password, which you can change as often as you wish. Users are not required to register to access the meeting, but they must have the congregation password that you supply. To view a sample listening page and a demonstration of the sound quality, click here and type "demo" as your password. Would your congregation benefit from a free trial? To stream audio over the internet you will need an encoder to change your audio into digital format. You can use a pc or our own pre-programmed KH audio streamer. The KH Audio streamer is a great stand-alone solution that does not require a computer. It is pre programmed for your congregation and will stream the highest quality audio. The stream it produces is also compatible with telephone listening. It can remain on at all times near the sound equipment console and draws very little current. It requires an ethernet connection or WiFi and an audio source. Please contact us if you would like more information. Or you can encode with a pc or mac. There is encoder software available for download at no cost. If desired, the laptop can remain on at the kingdom hall encoding at all times. This way there is no need to change settings when the meeting starts or ends. When broadcasting full time using microphones, the sound to the encoder can be disabled as needed for private meetings. We use an HTML5 player to deliver the highest quality live-streaming. This insures compatibility to all devices connected to the Web. For instance Samsung, Nokia, Motorola, Sony, Apple, blackberry, Huawei, Lenovo, LG and others to name a few. The audio quality is vastly superior to telephone conferencing systems. Many kingdom halls have an adequate internet connection for streaming without having to do any upgrades. We do recommend a wired line devoted solely for your stream, but any line will do. (Please note that the more devices you have on a network, the more your risk of issues increases.) A wifi network can be used but a wired line is recommended. There are two principal ways to get a video signal into a computer, a webcam and through a video capture device. Using a webcam is a great way to get up and streaming for a low cost and with very little effort. Plug the webcam into a computer and open up your free streaming software and you are ready to stream. However, a webcam will probably not produce the higher quality results you are looking for. A better alternative is a video capture device. The two things to consider when choosing a video capture device are: How are you going to connect to the camera? How are you going to connect to the computer? USB will probably not be fast enough to transfer video for streaming unless you are using a USB webcam. A webcam can transfer video at much lower bitrate which allows them to use a slower connection. Most consumer camcorders do not support video over USB and many of the consumer USB capture devices such as the Dazzle may be inconsistent. We recommend getting the signal into a computer by using either Thunderbolt, PCIe or Firewire. Of course whatever you choose if using a capture device, must have the appropriate connections for both your camera output and your computer input. XA25 : Similar to the XA10 with the added SDI connection for longer more reliable runs of the video signal. For Streaming with a computer you will install a software encoder such as Open Broadcaster Software (OBS) on your machine and connect the cameras with one of the devices above. When choosing a Mac or Windows based computer we like to note that there are very few older windows based laptops that support streaming. We generally recommend any Mac with a thunderbolt connection or any Windows (or Mac) with a PCIe connection. These two connections provide the most stability and universal solution. When choosing a computer we recommend looking at the system requirements for the software you would like to encode with. There are many computer options out there that work. We generally recommend the Apple Mac mini for those who need help in choosing for the price, stability, and ease of setup. Adobe FMLE is a free product that sends exactly what you put into it to our servers. There are many hardware encoders out on the market and these are a great option for those who want a simple and easy setup. The one we recommend most is the Teradek VidiU, The cost on this devices is about $695.00 and it connects directly to your camera. When you are ready to begin streaming just press the start button and you will be streaming your meeting. No need for computers or software, just an internet connection. This is a good option. For this option you could use a simple computer (laptop or Desktop) with the Logitech C920 Webcam. This webcam is provides HD video and High Quality audio though a USB port, but this camera suffers from it's inability to zoom. Being closer to the stage is required. Most cameras cannot deliver a good signal through USB, but this does. You would simply plug the Webcam into a computer and use the free Encoder software to stream. This webcam can also be mounted on a tripod. You will need any apple based computer with a thunderbolt connection. You will plug the camera into the video capture device with an HDMI cable, then the capture device into the computer with the thunderbolt cable. You will need a Windows desktop PC with the option of adding a PCIe card to the back of the computer and someone who knows how to install these. You will install the capture card to the computer then plug the camera into the capture card with the HDMI cable. The installation is not too complicated but we recommend using someone with a little experience. The intensity pro may not work with all camera's. If you buy this product, make sure you can return it. Canon Vixia Camcorder with HDMI output. Plug this camera into the TeradekVidiU. You will need a computer to setup the TeradekVidiU the first time but then will only need to press the start button for your streams after that. 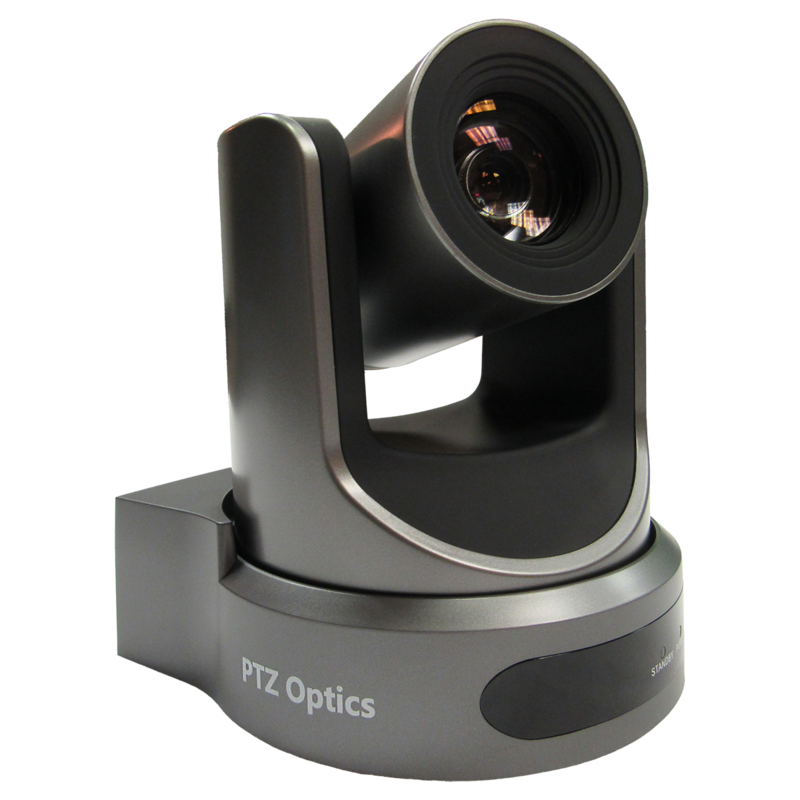 The PTZOptics 20X-SDI is a 1080p camera with 20X optical zoom for capturing HD video at long distances.The PTZOptics line of cameras are ideal for broadcasting high definition video signals for broadcasting meetings.SDI is a preferred cabling for 1080p video over long distances.The USB 3.0 version can be connected to a computer and encoded using Vmix or Adobe Flash Media Encoder software.After and before meetings it can be set to continually pan the auditorium. The audio quality is often poor. Callers may forget to mute their phones and additional noise is introduced. Telephone lines are expensive and at least one line needs to be devoted to the conference call. The conference method requires some kind of phone patch equipment or bridge device that connects the telephone line to the kingdom hall sound system. Requires the sound attendant to manually dial into the conference and initiate the conference call at the beginning of each meeting. To make matters worse, the audio quality is reduced as it passes through the kingdom hall sound amplifier and phone patch device. It continues to degrade as it makes its way to the telephone company’s switchboard orVoIP network and then combines with all the other listeners. Dial the stream - not the kingdom hall! Live Kingdom Hall connects telephone users directly to the high definition live stream. Your kingdom hall does not need to connect the audio to a telephone. 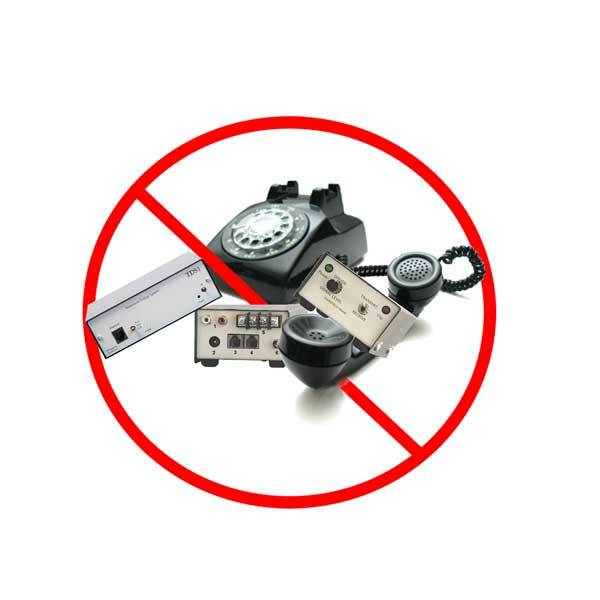 That’s right – you don’t even need a telephone conference line at the kingdom hall! If you are streaming using livekingdom hall, the friends without internet can now dial-in and connect directly to your High Definition stream using a regular telephone line. Telephone callers are connected to the HD stream - not the kingdom hall telephone line. Telephone callers do not need to mute their phones – they are not in any way connected to other listeners. No need for an expensive conference bridge device at the kingdom hall. No need for any phone patch equipment at all. No need to dial and initiate a conference call at all. Cost for this service is generally $20.00 (USD) or less per month. Please contact us if you would like further information.